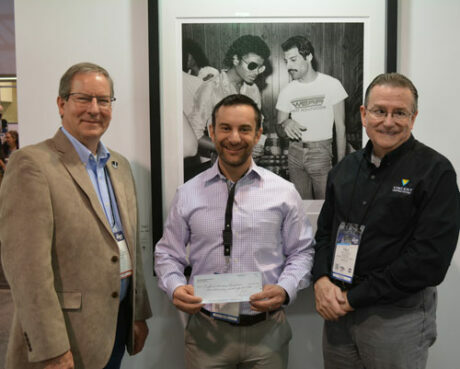 ANAHEIM – At the recent NAMM Show, Westview Productions presented a check for $5,162.32 to Behind the Scenes as their first donation to the charity as a new Pledge-a-Service Partner. Westview is an entertainment, energy, and immersive technology solutions firm headquartered in Denver, Colorado. Their unique project process encompasses all aspects of design that integrates with all construction trades to ensure a cohesive and seamless project experience. Westview has global experience in lighting, motion control, audio and A/V systems, media, and architectural systems allowing them to provide comprehensive services as a sole solutions organization. The Behind the Scenes charity provides entertainment technology professionals who are seriously ill or injured with grants that may be used for basic living and medical expenses.